Brown Rice & Black Soybean Mochi is potent strengthening and rejuvenating food. It is skillfully multi-step made of steamed and pounded certified organic sweet brown rice with organic Japanese black soybeans and a wee bit of sea salt. Vacuum packed, no refrigeration is needed for storage. Mochi softens and puffs into moist cakes with crisp chewy crust from slow pan sizzling, or when baked about 8 minutes. Great as is or with a little shoyu, in miso soup, and it makes delightful waffles. Mochi is always a pleasure no matter how it is used. Add cooked mochi to soup or stews after they're cooked for dumplings. Gluten Free. Eden Brown Rice & Black Soybean Mochi is organic sweet brown rice, a very sticky rice Oryza glutinosa, with organic black soybeans. A potent strengthening and rejuvenating food that is skillfully multi-step made of steamed and pounded sweet brown rice. Mochi means 'pounded rice cake.' 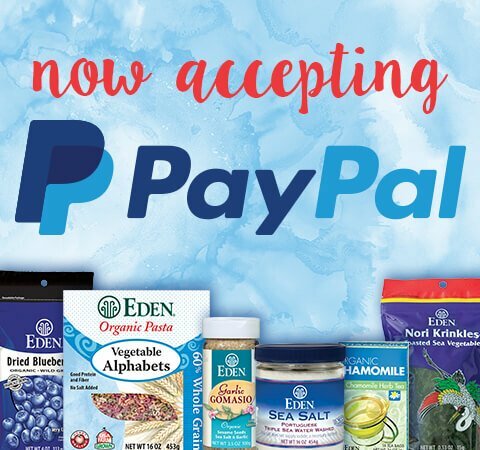 Enjoy it for breakfast, lunch, and dinner, or as a powerful snack. Mochi softens and puffs into moist, chewy cakes with a crisp crust from slow pan sizzling or when baked at 350° for 8 to 10 minutes. For over a thousand years mochi has been the traditional celebratory food in Japan where it's thought to rejuvenate one's vitality, health, and strength. It is always served at New Year festivities and events celebrating births, birthdays, weddings, and special occasions. It is respectfully called 'O-mochi' meaning honorable. Black soybeans are considered the 'Crown Prince' of all soybeans in Japan going back over 1,000 years. They have been a valued traditional health food for centuries and are considered more health promoting than yellow soybeans. The Chinese characters used to depict black soybeans means 'hardworking' and 'robust'. New Year's day would not be complete without black soybeans and black soybean mochi to promote health and hope for the new year. In Japan, at times, people shout out a phrase praising black soybeans, it translates "work fruitfully and live faithfully." Eden Brown Rice & Black Soybean Mochi is made by the Kojima family who began making brown rice mochi in 1974 when only white rice mochi was available. Brown rice is washed, soaked overnight, and steamed with pure water. While the rice is steaming, soaked black soybeans are cooked separately. When done, the steamed rice is ground into sticky dough that is pounded until smooth by a large stone that is mechanically lifted and gravity dropped. The black soybeans are blended into the mochi. Pounded mochi is spread in half-inch thick sheets and let sit in refrigeration for three days. The then hardened mochi is cut into cakes and steam vacuum packed for a two-year shelf life with no refrigeration needed. Traditionally, and during festivities today, hot sweet rice is placed in a smooth hollowed tree stump and pounded by two people using heavy wooden mallets. As the pounders alternated, a third person reaches in and turns the rice. All these tasks demand skill, strength, and good timing. Pounding is essential to enhance mochi's energy. 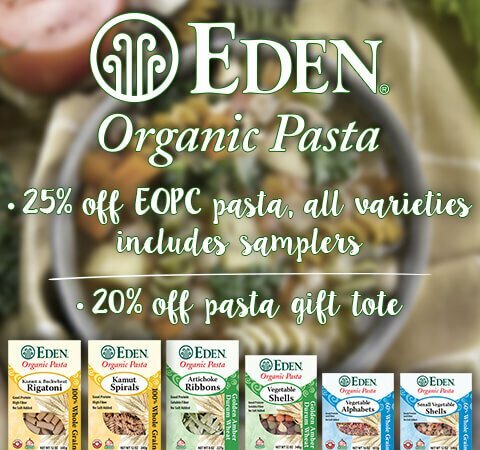 Eden Mochi is certified organic, 100% whole grain sweet brown rice. It is very low sodium, gluten free, rich in manganese, and a good source of magnesium. 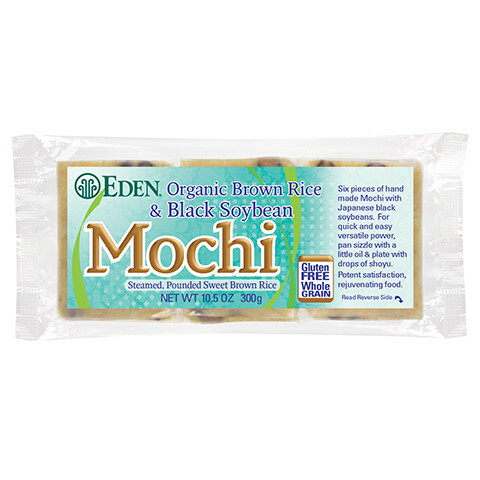 Eden Brown Rice & Black Soybean Mochi is extremely versatile. Pan cook with or without oil, bake, broil, grill, or deep fry until it puffs. Great as is or with a little shoyu, wrapped in nori sea vegetable, and in miso soup. Add cooked mochi to soups or stews after they're cooked for dumplings. Coat cooked mochi in hot maple or brown rice syrup and roll it in toasted soybean flour, roasted chopped nuts, or gomasio for a treat. 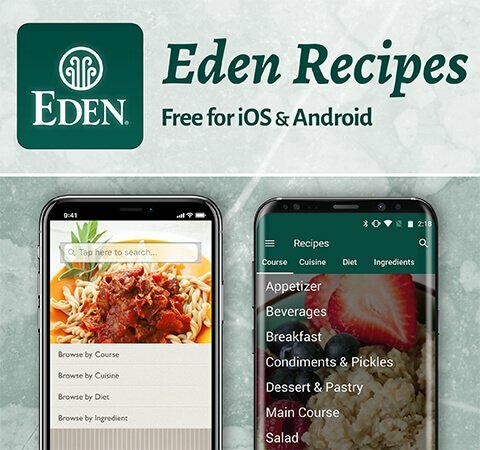 Try the free recipes on this site - Pan Fried Mochi, Baked Mochi, Grilled Mochi, Steamed Mochi & Cabbage, Deep Fried Mochi, Mochi Miso Soup, and more.